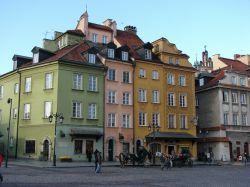 2018 - 2019 tours to Poland - discover exciting Poland with us! It is a good time to select and book initially a tour for your visit to Poland and Central Europe in 2019. Look at our tour programs, especially at the first tour, with set tour dates on a next year. Departure dates for all other tours are usually available, as mentioned on your request, between March and November. The tours, presenting the largest scale of tourist highlights in Poland in Central Europe, were selected from many others, as a most popular among our clients. If you do not find them interesting enough for you ask for a private Custom-made tour offer ! CHECK SPECIAL OFFER FOR DISCOUNTS - FOR BOOKINGS ON 2019 TOURS. WHEN BOOKING DONE BY END OF 2018 WE OFFER SPECIAL EARLY BIRDS PRICES !